The etched frowns of Londoners are very telling on a Monday morning on the Central Line. Misery lingers in the rocking carriages as the smell of stinking body odour and spewing coughs fills the air. London is a dreary, dismal, dark and a gloomy wasteland of despair. “It’s where the jobs are”- that’s what most people say when they tell their parents and they move into a dingy flat in North London, sharing a bathroom with Europeans, who barely speak a word of English and living next door to a crack den full of illegal immigrants. London is where dreams are promised and illusions are shattered. 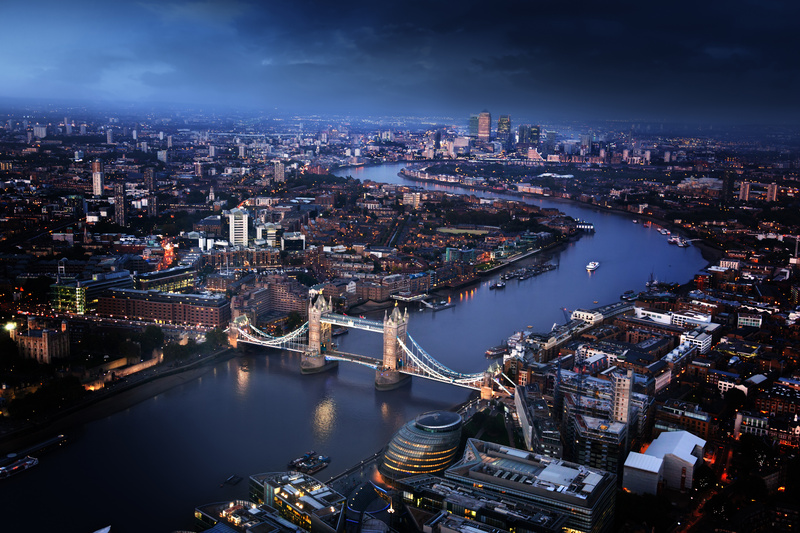 Thinking of moving to London? Don’t, just don’t. Constant queuing, rocketing house prices, the chore of commuting, the constant sight of tourists with maps and umbrellas and the dangers and pure exhaustion of living in London is enough reasons to scare even the most joyous liberal away. Need further evidence as to why London is literally hell on earth? Then please read below. 1 – Humans, Humans Are Everywhere! Tediously slow walking tourists gasping in awe of a giant clock aptly name ‘Big Ben’ as Londoners let off an angry huff while stomping angrily pass them on the morning commute to work. Whatever it be backpacking Europeans snapping selfies behind a sight so awestrucking like a red phone box or the usual drearily sight of Canary Wharf office workers and their unbearable snobbery looking miserable and stern on the DLR, you won’t be able to swing a leg or gasp air without being bumped by an obnoxious elbow. Value your space and privacy? What the hell are you doing in London? 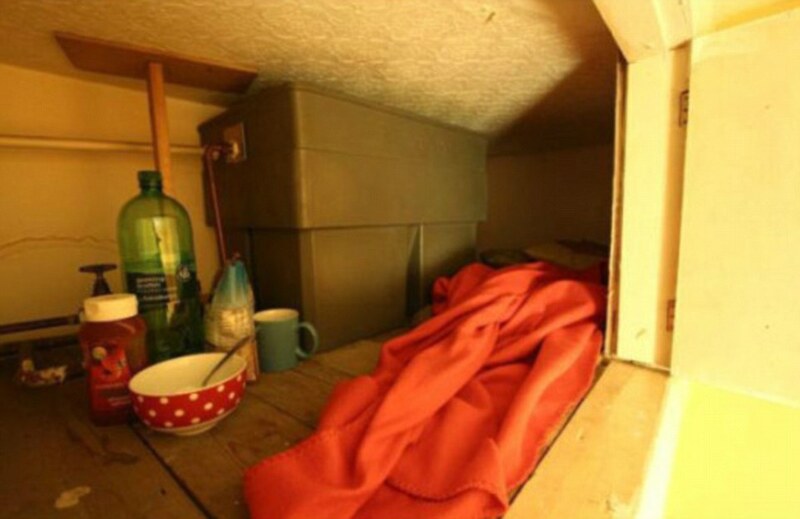 2 – Want To Live In An Overpriced Shoe Box? Does the prospect of living beneath the local high-street Chicken and Chips shop inside a cold and shivering rat infested shoe box tingle your taste buds? Than London is the place to be. Be prepared to blow your minimum wage on ridiculously expensive housing rent and narrow living arrangements as you sleep through the noise of police sirens and babies crying until the early hours of the morning. This is living the dream. Nice apartment. High quality of life. London isn’t just Buckingham palace and afternoon tea in Covent Garden, everyday real life London is a brewing pot of Graffiti stained Council estates ridden with bike riding ‘hoodlums’ and burqa wearing woman. 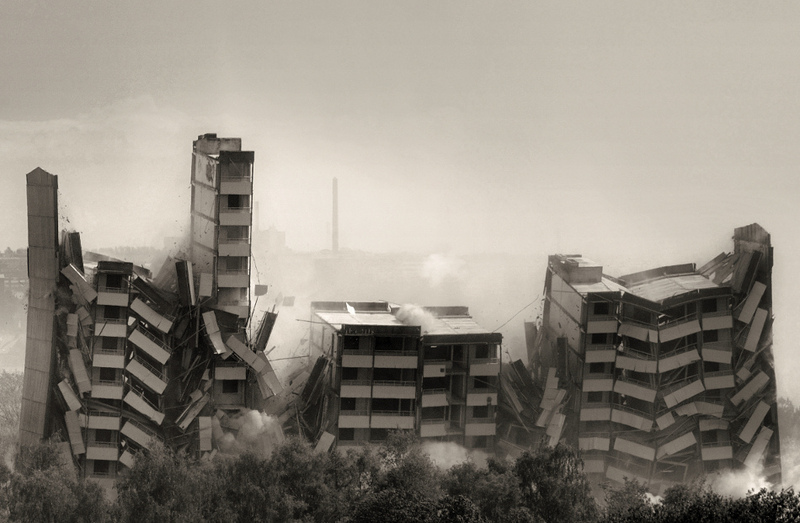 The sound of Illegal migrants rattling tin cans beneath the backdrop of dreary tower blocks, eye sores and poor infrastructure linger in the grey ridden polluted air and will haunt your soul forever. Weekend closures, over paid tube workers who selfishly strike at any opportunity, ridiculously expensive fares and a slow and unreliable service that gets you nowhere. The London Underground and Train service is the worst in the entire world, being stuffed like a suffocating expired fish in a sardine can during the morning rush to work is a realisation that hell does actually exist. Speaking of hell, there is a special level of hell for those who wait until the last moment to take out their Oyster card, oh and there is a 90% chance that you won’t get a seat while riding the tube, so be prepared to stand awkwardly and uncomfortably for the remainder of your journey. 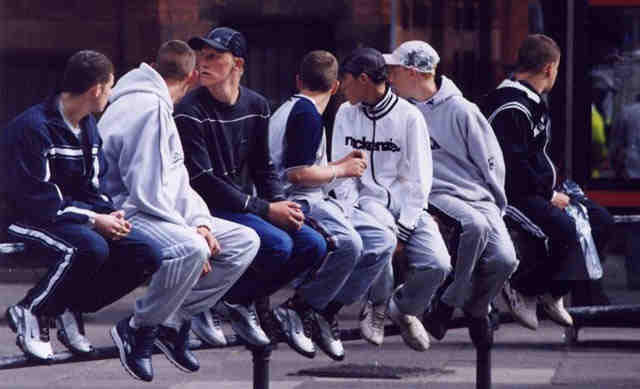 A Chav is a term commonly used in describing a young lower-class person typified by brash and loutish behaviour. These are the kind of vermin one would not like to come across on a dark evening, well on any type of evening for that matter; they should be avoided at all costs. These Sub species of human are an unfortunate regular sight on the ‘’mean’’ streets of London often found loitering outside the local McDonalds or Chicken shop. Clearly recognisable by their distinctive trademark tracksuit and hoodie and often found peddling along on their favourite mode of transportation, a bike, their style of communication is a very primitive form of English thus avoiding any words they cannot spell or pronounce, every sentence uttered out of their ghastly mouths has ‘’man’’ ‘’blud’’ or ‘’fam’’ in some form of context and any interaction with these types of ghetto and unsophisticated beings should be kept to a strict minimum at all times, unless of course you wish to be mugged, and nobody wants to be mugged by an literate, unemployed ‘’wasteman’’. How many Kev’s do you see? Does anyone actually speak English? When British people are a minority in their own country you really have to question existence. 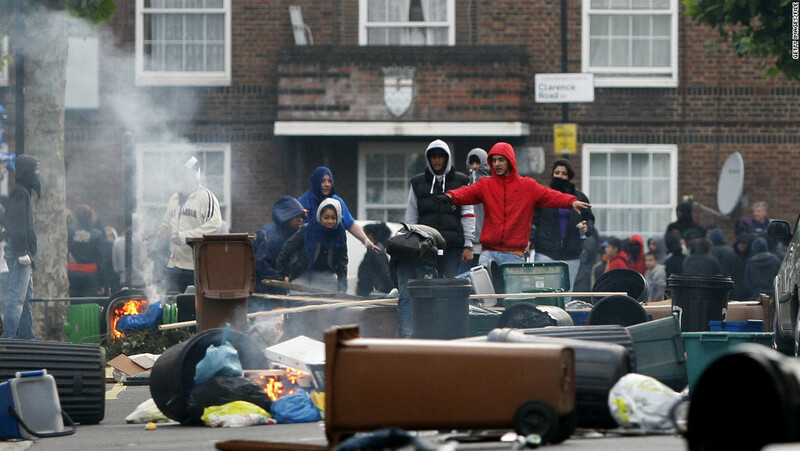 In the vast sea of Hijabs and migrants that is the cluttered streets of London, the multiculturalism mafia insist that cultural diversity and ravaging zombie hordes roaming the concrete pavements are good for the British economy, I think the 52% that voted to leave the E.U would disagree. Just take a stroll outside of the metropolitan confines of London and it will feel like you have stepped foot into a 3rd world country. Unemployment, welfare dependency, gang/gun/drug culture, degenerate broken single mothers (with 3 or more kids from multiple fathers) and everything is halal. This is the Britain that the holiday brochures do not show. As you get out of Central London. Going for a pint will bankrupt you and all of your future children. Even withdrawing money from a cashpoint sometimes holds a fee. Regardless, any money you take out will be gone before you know it. London is a money sucking parasite that will leave you homeless and shivering on the street if you don’t follow the art of saving. ‘’That will be £5.20 please, mate…’’ is a sound you will hear very often. 9 – Foxes, Pigeons And Bears, Oh My! Avoiding the constant threat of Pigeon poo is like avoiding an Islamic terrorist threat in a European city, you know it’s going to happen; it’s just a matter of time. Oh, and you try sleeping when the howls of Foxes rattle your eardrums and rummaging through your bins into the break of dawn. And you thought that London Zoo was the only place to visit unruly animals, that or the night tube on a Saturday night. 10 – Where Is The Love? London is depressing for the lonely and unloved; your mental health will deteriorate as you go on another stupidly bad date. 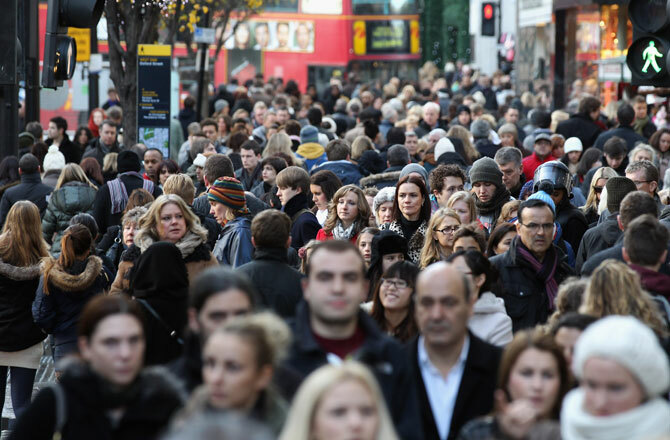 There are approximately 8.674 million people living in London, surly they all can’t be ‘F*ckboys’ and ‘Ghosters’? If Paris is the city of romance, than London is where love died a pitiful death. You will be single forever if you choose to linger in London, all while paying exceedingly high rent for your single bedroom and eating your overpriced meal for one. Welcome to London, the city where love truly died a horrendous death. A city fit for loneliness.